KUALA LUMPUR (May. 11, 2013) – The elite of the Asian hospitality industry gathered at the Shangri-la Hotel in Kuala Lumpur on Friday (May 10th) to hear the long-anticipated results of the Asia Pacific Hotel Awards. A total of 94 awards were given to 19 countries in the region for a variety of hotels, ranging from small to large and general to specialty. 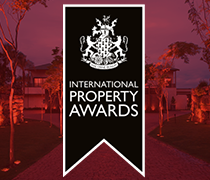 The International Hotel Awards received entries from Asia Pacific companies in 19 countries. Newcomer countries to the competition were Turkmenistan, Pakistan, New Zealand, Laos and Macau, with all of those countries receiving at least one award. Lord Bates from the House of Lords in British Parliament presented the winning companies with special plaques during awards presentations yesterday. Each company was announced as either a ‘Highly Commended’ or ‘5-Star’ winner. 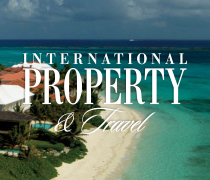 The International Hotel Awards has 16 categories and up to three 5-star awards for each category are awarded on a national level before going on to compete on a regional level. In addition to categories for several types of specialty hotels and categories by hotel size, there are also categories for hotel architecture, construction, interior design, marketing and website. 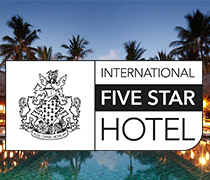 The 5-star winners were placed under further examination and just one from each category was selected to represent the Asia Pacific region in the 2013 International Hotel Awards. The regional winners, which were announced at the close of the awards gala, will go on to compete in the International Final ‘World’s Best’ Hotel Awards. The gala event will be hosted in London this coming November, to coincide with the World Travel Market. They will compete against other regional winners from Africa, Arabia, Europe, UK and the Americas to find the ultimate World’s Best in each category. The Asia Pacific region has an enviable record of achievement at international level. The region was awarded six World’s Best Hotel Awards in 2012: nearly half of the competition’s awards. Building upon the success of business events first added to the 2011 award ceremonies, the International Hotel Awards also hosted a property exhibition and networking events on May 9th and 10th at the same venue. Presidents, CEOs, managing directors, chairmen and other decision makers attended a number of professional networking events, including seminars, discussion tables and an exhibition. The 2013 Asia Pacific Property & Hospitality Show was open to all industry related companies and suppliers in addition to award participants. For the first time ever, the exhibition area was open to investors and property enthusiasts from the general public. For more information, please visit http://propertyawards.net, or contact Jaclyn Lloyd at 44 (0) 1245 358877. The International Hotel Awards global competition determines the finest hotels and hospitality companies in the world. They were developed to identify, highlight and reward excellence throughout the global hospitality industry throughout a wide range of areas. In addition to categories for several types of specialty hotels and categories by hotel size, there are also categories for hotel architecture, construction, interior design, marketing and website. The awards are open to hoteliers, hotel developers and builders, interior designers, architects, public relations and advertising agencies and web designers. The awards are split into regions covering Asia Pacific, Arabia & Africa, the Americas, the Caribbean, Europe and UK. Participants enter at their relevant national level and are judged by a highly experienced team of professionals who cover the whole range of hospitality disciplines. Judging is carried out through a meticulous process involving a panel of experts from the hospitality and property industries. Copyright © International Property Media Ltd. All rights reserved. Please note calls may be recorded for training and quality control purposes.